Trailblazer Twist Camping Razor - Replaceable Blade, Lightweight Polymer Housing, Four Spare Blades - Length 3” - Three Pack | BUDK.com - Knives & Swords At The Lowest Prices! When you’re backpacking, having toiletries you need but keeping the weight of your pack down is a delicate balance. That’s why the Trailblazer Twist Camping Razor was designed with a lightweight but durable polymer housing, which weighs only one ounce. The compact razor is also a safe alternative because there’s absolutely no danger of accidentally cutting yourself if you’re digging around in your pack. A simple twist of the base reveals the replaceable safety razor blade and when you’re done using it, a twist draws the razor back into the housing. Four spare razor blades are included in this pack. 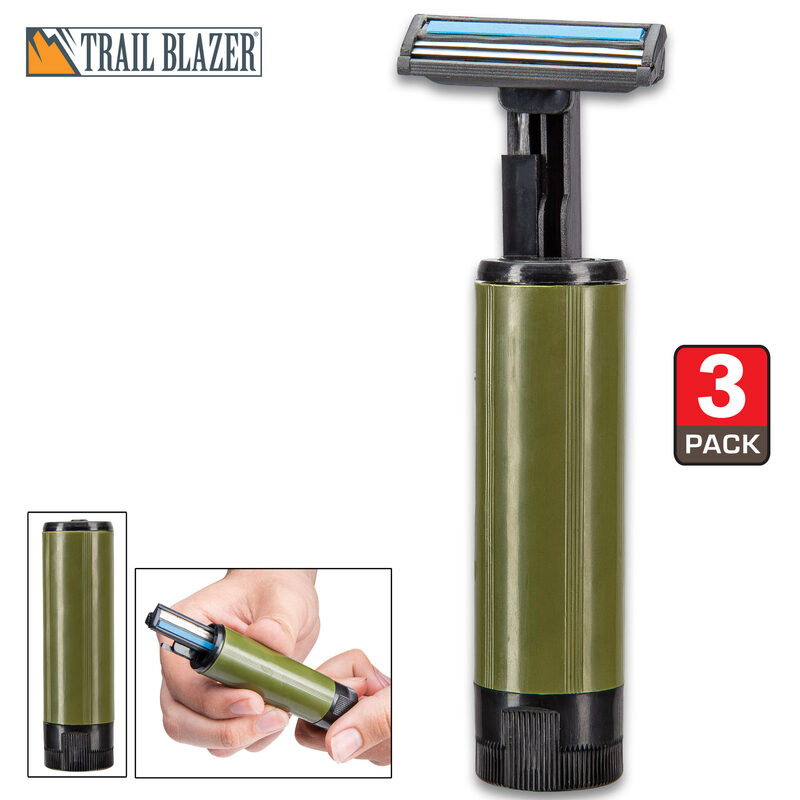 Our compact, safe Trailblazer Twist Camping Razor is perfect for any traveling you do! In this pack, you get three of these awesome camping razors.